Bangladesh University of Engineering and Technology, M.Sc. 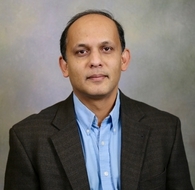 Javed Ikbal is the VP of Information Security and Risk Management at a Boston area multinational company. He has 25 years of IT & Security experience at Financial services, Industrial research and Education. He specializes in building or re-engineering security programs. Javed is an engineer by education, but his passion is improving lives by judicious and appropriate application of science and technology. He is a strong proponent of STEM education and works to use technology as a social equalizer. He is on the board of DNet Global, a non-profit organization and is also an elected member of the Plainville, Massachusetts school committee.